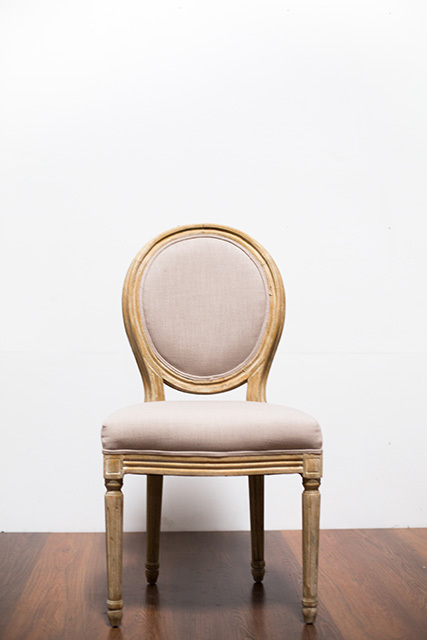 The Louie oval-back dining chair is designed with a hint of traditional French style. Allow the addition of this multifunctional chair to contribute to any room as a dining chair or accent. Upholstered in a cotton/linen Fabric.